The students were taught the composition of different gases in air through a hands on activity. 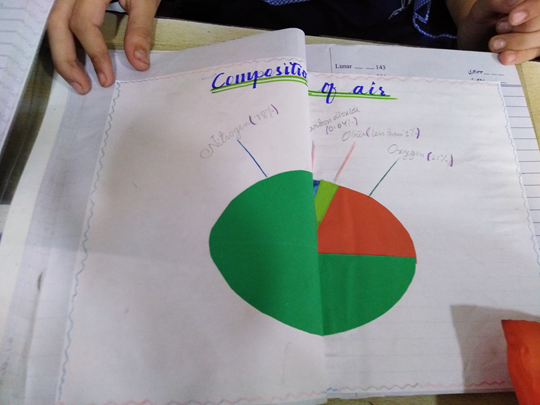 They were asked to bring coloured crepe paper and form a pie chart. The different colours represented the gaseous composition. This was explained by fractions and percentages. 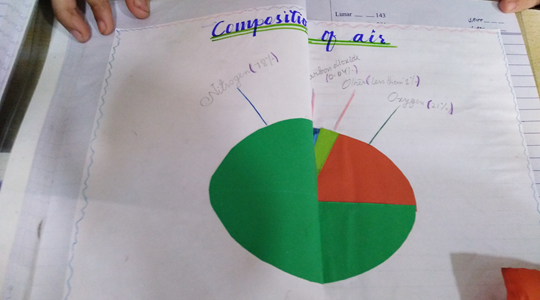 The students found this activity quite beneficial in learning about the gaseous composition which became etched in their minds.